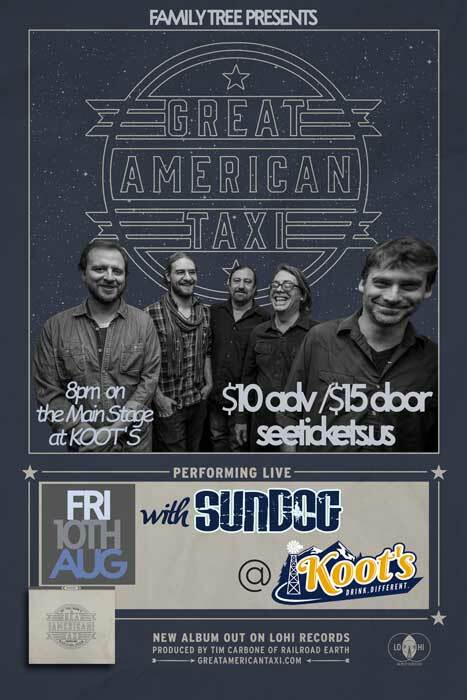 Great American Taxi is playing at Koot's! 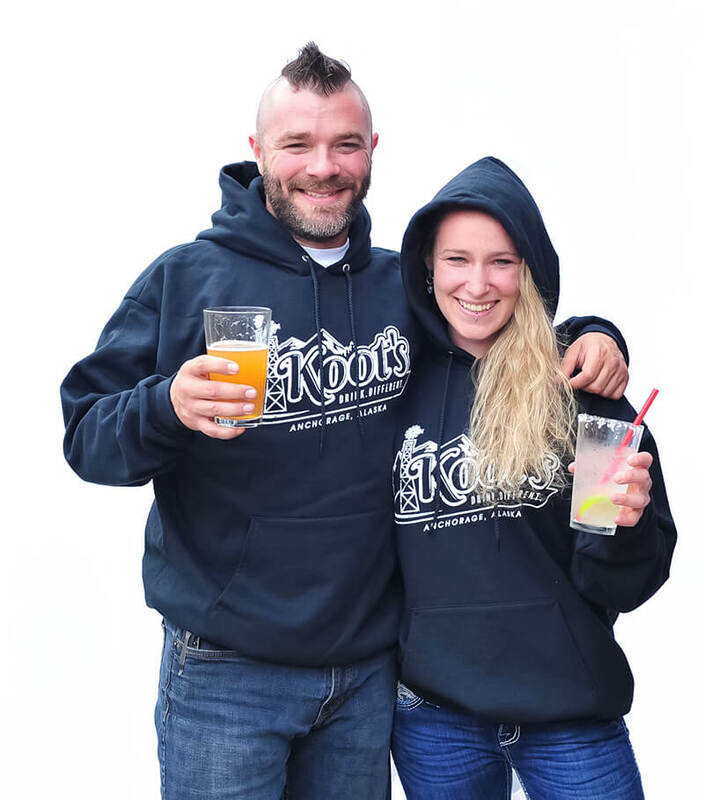 Family Tree Presents is proud to bring GREAT AMERICAN TAXI to Koot's on Friday, August 10, 2018 at 8 PM as part of the Salmonfest Music Series. They will be performing with local support Sundog. Great American Taxi are a rock & roll classic, a timeless mixture of gutsy pop, calloused hand country, blue-eyed R&B, and bare-knuckle barroom chooglin’ with songs for the everyman and woman grinding out the working week and anxious to shuffle the day’s cares away. The inheri-tors of the good times-bad times mojo of Creedence Clearwater Revival, The Eagles, and Lowell George-era Little Feat, GAT are boogie rock champs with big beating hearts backed up by thou-sands of gigs and highway miles – real music for real people living each day as best they can, dreaming about Friday nights and scoring a few breaks in this wicked world. After some evolutionary changes, the core lineup now centers around Chad Staehly (keyboards, vocals), Jim Lewin (guitar, vocals), Brian Adams (bass, vocals) and newest member Arthur Lee Land (guitar, banjo, vocals) with guest drummer Duane Trucks (Hard Working Americans, Widespread Panic) joining them on the group’s latest, strongest studio effort, Dr. Feelgood's Traveling Medicine Show, which was produced by Railroad Earth’s Tim Carbone. Since the de-parture of founding member Vince Herman (Leftover Salmon), the band has refined and ex-panded their vision of what Gram Parsons called Cosmic American Music, a deeply felt, gently groovy kind of Americana that one can down a pitcher of suds to while contemplating life, the universe, and everything.